Create and update custom messages. Movable letter and number type blocks. Xstamper Self-Inking Message Stamp Kit - Create your own custom message stamp in minutes. 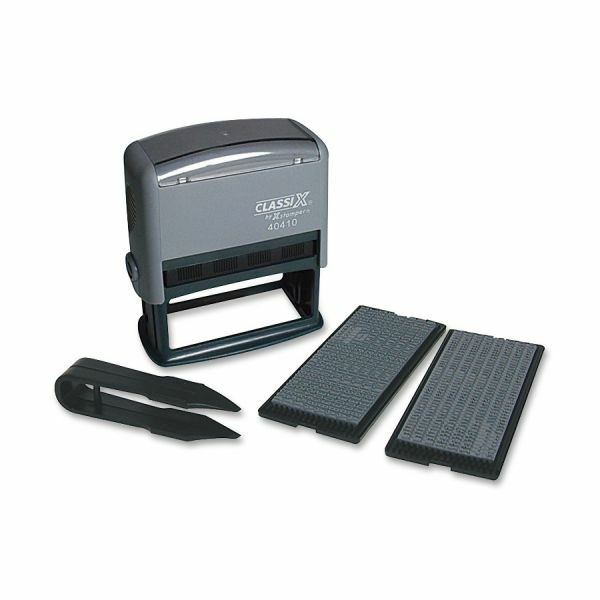 Includes stamp mount, black ink pad, type, tweezers and two sizes of type. 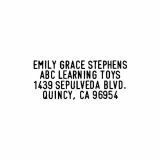 Type includes letters, numbers, and symbols in 3/16 and 1/8". Stamp can have 1 to 4 lines."